CE Center - Performance Matters! Identify and recognize the characteristics of performance-based design as it applies to buildings. Investigate the design potential and innovative opportunities to create buildings that can be optimized to achieve building-performance goals that benefit both occupants and owners. 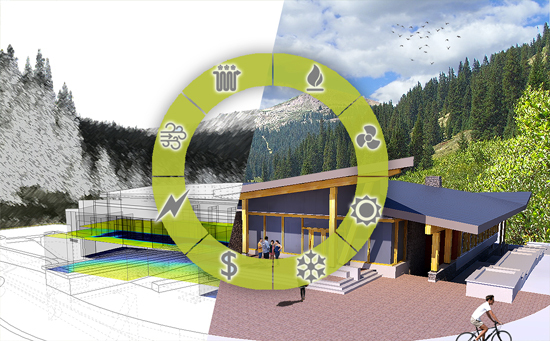 Assess the functional contributions of performance-based design software paired with 3-D BIM and modeling software to achieve green and sustainable designs. 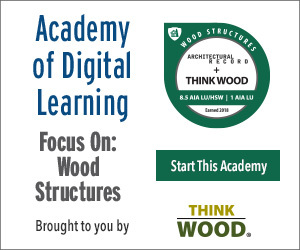 Explore the ways to incorporate performance-based design throughout the entire design process and effectively collaborate with others on project teams. The design of a new building or the renovation of an existing building usually starts with a set of programmatic goals, objectives, and requirements. Some of these relate to user needs, some to space needs, and some to time and budget constraints. Increasingly, they also relate to a building’s performance in terms of energy usage, daylighting, operating costs, and life-cycle assessment. To gauge this performance during design, computerized analysis is becoming common as owners request it, and building codes and green standards tend to require it. In fact, many owners are seeking, and design firms are striving to create, high-performing buildings which go beyond code minimums and excel in all performance aspects. In this regard, it appears that the conversation on performance is clearly shifting away from ‘why’ and has become more focused on ‘how’ to achieve the desired level of performance. This means that architecture and engineering firms are looking for new and better ways to collaborate to allow for ongoing performance discussions and analyses. It also means that firm-wide processes are required throughout the design and documentation process that incorporate performance analysis as a core task. It has been observed by many in the design professions that the new normal is to design buildings based on performance as much as on other design criteria. The term “performance-based design” has been used to capture this new approach that is becoming increasingly common. Now, to be clear, the performance of building envelopes, systems, and components have always been important design considerations, However, it has only been fairly recently that computer software has become available that can readily and affordably simulate the wide variety of variables and elements that influence building performance. More traditionally, rudimentary calculation tools or rules of thumb were relied upon because it simply wasn’t possible to do multiple performance analyses quickly or economically enough to make meaningful impacts during the design process. Instead, it became much too common for architects to plow ahead through design based on performance assumptions or generic standards. Then, when final construction documents were completed, they would be turned over to an engineer or other third party to carry out one energy model or other calculation to see how the building performs. That approach brought the inherent risk that the performance would fall short of design or code targets and require some costly redesign to correct it. It also missed a huge opportunity to use energy models to learn which design decisions made the most or least impact on the building’s performance. The use of performance-based design software linked directly into popular 3-D building design software allows design and performance to be developed at the same time on one computer model. Fortunately, things have changed for the better. Many architects have quickly come to understand that a building’s performance is affected by a great many decisions made from the earliest stages of design all the way through final construction documents. Understanding the impacts of those decisions all along the way not only helps prevent the need for redesigns, it informs the process so the design can be optimized toward all performance goals. Those who have embraced this approach are using performance-based design most effectively. 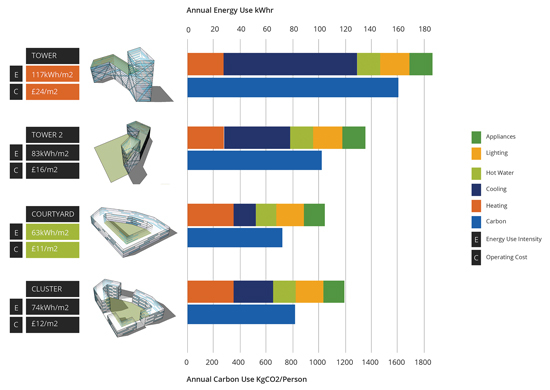 While many things can contribute to the final form of a building, performance is playing more of a role as demands for lower energy use, more daylighting, and better life-cycle costing come into play. The computer technology making all of this possible starts with the use of popular design software programs. Moving from hand drafting to computer aided drafting (CAD) was a significant step in the past for many design professionals but is now very commonplace. The more recent move to 3-D computer models or design representations including building information modeling (BIM) allows designs to be virtually “built” in three dimensions instead of two-dimensional lines and symbols. Performance-based design (PBD) is the next step that goes beyond computerized visual and informational representations of buildings. It is based on adding on software to a 3-D-based design program, which allows analyses of a building design to be performed within that 3-D model. As such, it can eliminate the need to create a separate energy model of the building or the need to hire others to run a separate analysis since everything can be directly linked to the software already being used to design the building. This is a true game-changing evolution of the design process, which seems to be finally realizing the promise of computer-based design. In essence, PBD allows an analysis to be performed at any step, by any member of the design team, quickly, easily, and affordably. Sefaira offers the industry’s only software for real-time Performance Based Design. This allows design professionals to understand the daylighting, comfort and energy performance of their designs directly in their SketchUp and Revit design environment, so that they can create better and higher performing buildings with lower capital and operating costs. SketchUp is one of the most popular conceptual design tools.